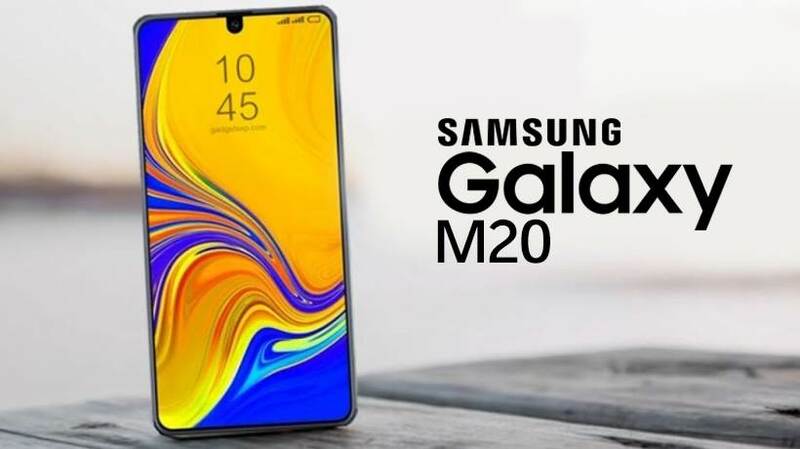 The latest Galaxy M-series from Samsung Is all set to launch on 28th January exclusively on Amazon, one of the phone from the series has all its specs revealed from official user support manual. 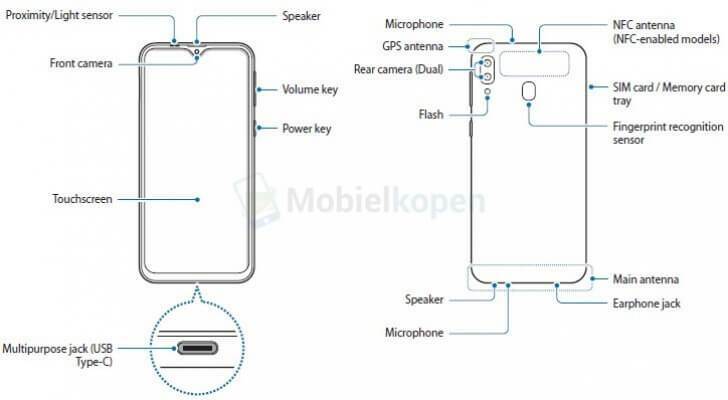 The manual was first spotted on Dutch website Mobielkopen which has leaked few images from the phone’s user manual which reveals some important features of the smartphone. As expect the phone is set to feature water drop notch style with the Samsung’s latest infinity-v display and some extra features have also been added which makes it a nice addition. As presented in the user manual the smartphone will also feature a NFC chip, USB type c port , bottom mounted speakers and a dual camera setup. Both the NFC and USB type c features are still rare in this price segment. The smartphone will also sport support for quick charging and face unlock feature to deliver an expansive feature set to it’s users.